Sprites are magical, supernatural creatures — elves, fairies or goblins known to surprise people with their presence. The SPRITES of East County are human, but nonetheless surprising, as an organization of lovely daughters and mothers, who prize volunteering in service to community charities. The SPRITES of East County celebrated their graduating senior girls, the class of 2017, with a gala dinner party called “A Night in Monte Carlo.” The festive event, staged at the Viejas Resort in the upstairs Oak Ballroom, was held on March 4. “SPRITES” is an acronym standing for Spiritual, Philanthropic, Recreational, Inspirational, Training, Educational, and Social. The group focuses on teaching girls in grades 7 through 12 about the value of supporting local philanthropies through donated hours and fundraising activities. 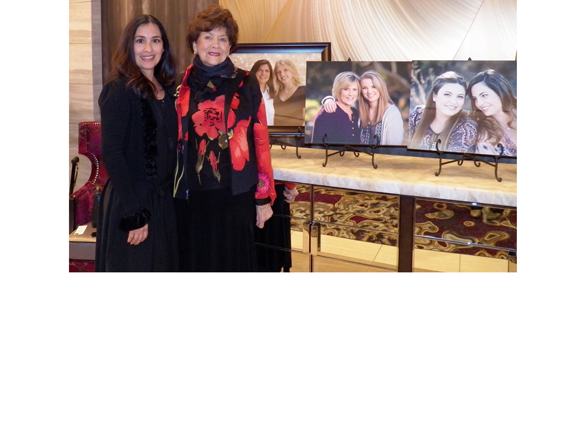 The objective of the new group was to create a support group of mothers and daughters who would serve local charities. “The girls bonded together, even though they came from four or five schools that year,” Brayshay recalled. That initial class received training in how to form a nonprofit board, along with electing a president, treasurer and secretary. They were charged with selecting which charity they would support and deciding how to raise money in that endeavor. They opted to host an ice cream social on behalf of supplying furnishings for the newly built diagnostic laboratory at then-Children’s Hospital in San Diego. “This is my legacy, my little prize, all these wonderful girls,” Brayshay summed up. Members of the departing class of 2017 were celebrated individually, with their parents presenting each girl for recognition and to receive a flower as a token of acknowledgement for her service in SPRITES of East County. Twenty-three young women were honored as graduates. The group currently consists of 208 mothers and daughters, supporting 24 philanthropies and nonprofit organizations throughout San Diego County, primarily in East County. The annual gala is the organization’s only major fundraiser. Planning takes six to eight months each year. The dinner party attracted over 500 attendees, with tickets priced at $75 apiece. These admirable girls, who were honored throughout the evening, volunteer for 5,000 hours each year, supporting such local charitable groups as St. Madeleine Sophie’s Center, Good Samaritan Retirement Center, Meals on Wheels, Rachel’s Women’s Center, Partners Therapeutic Horsemanship, Rady’s Children’s Hospital, Salvation Army programs and others. The class of 2016 raised $50,000 last year. The SPRITES hope to bring in donations totaling $100,000 this year. Information on the group and opportunities to contribute to their work can be found at www.spritesofeastcounty.org. annoyed while people consider concerns that they just do not know about. You controlled to hit the nail upon the highest and also outlined out the whole thing with no need side effect , people can take a signal. ones that might have badly affected my entire career if I hadn’t noticed your web site. Your own knowledge and kindness in handling every aspect was tremendous. point look ahead to my future. Thank you so much for this professional and effective help. I must show thanks to this writer for rescuing me from this type of difficulty. tremendous. I’m not sure what I would have done if I had not encountered such a solution like this. I’m able to at this point look ahead to my future. Thank you so much for this professional and effective help.